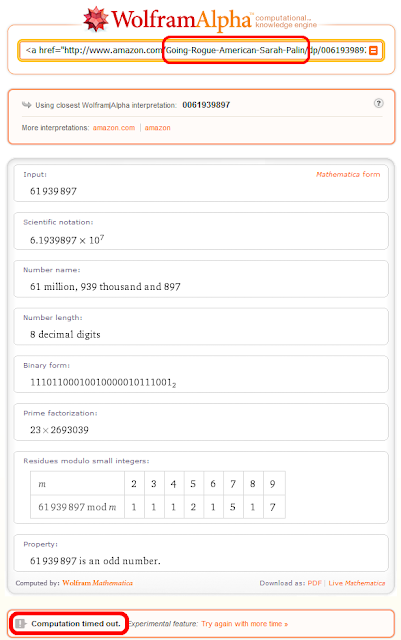 Almost a year ago, I managed to confound Wolfram Alpha with a long series of consecutive divide by zero calculations. This time, in a process known colloquially as dicking around I found a way to confound Wolfram Alpha with a secret weapon. Sarah Palin. 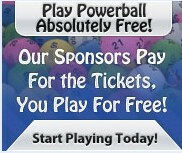 The input consists of an HTML hyperlink extracted from Amazon.com's product page for Sarah Palin's semenal work. 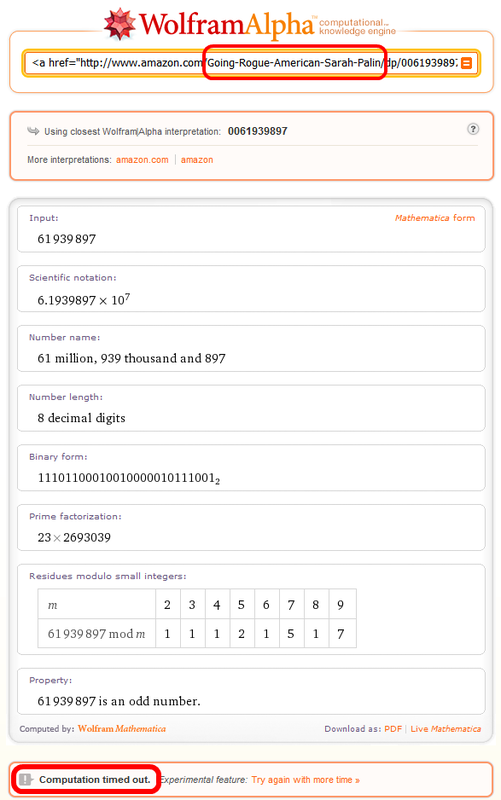 I'm certain Wolfram Alpha wasn't intended to handle such input, but it's interesting nevertheless to see how it reacts when you throw something so absurd at it. Wolfram Alpha also cheekily notes that the ISBN of "Going Rogue" is "an odd number." Indeed!